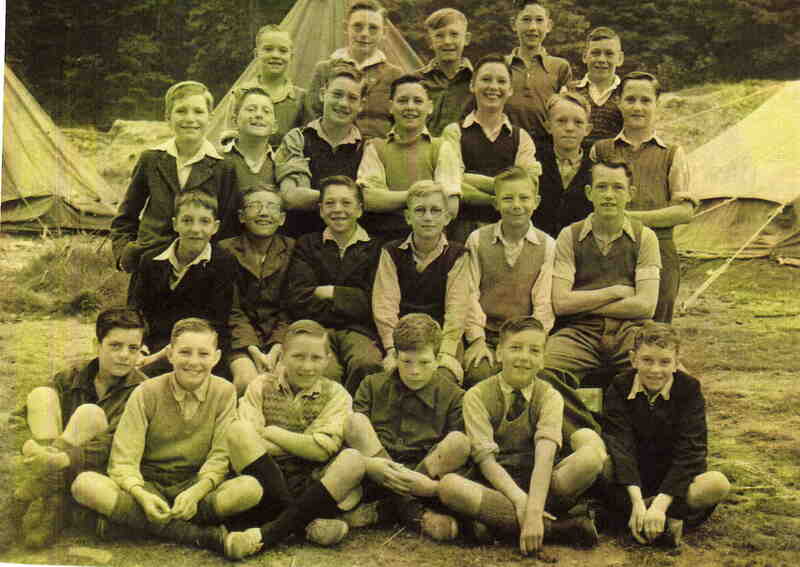 Killamarsh Secondary Modern – Overton Camp 1947. Names given below the photograph. Some names are missing. Can you fill them in. Grayson Barker used to have mobile fruit and veg van in the 1960s/’70s! 3rd Row left to right: Brian Ashmore, Brian Gibbons, ? ?, ?? Whitehead, Colin Stenton, Ronnie Ward, ? ?, ?? CAN ANYONE FILL THE GAPS MARKED ? ?